This ceramic jewelry will look great on you! A captivating large and outrageous ceramic jewelry that will upgrade any outfit. 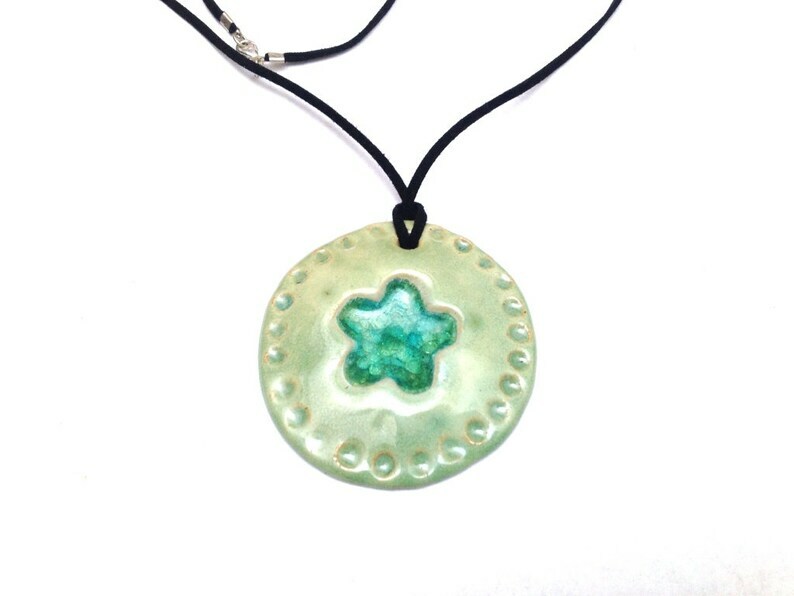 One-of-A-Kind design, handmade of natural clay ,glazed in light green and with turquoise fused glass, in a flower shape. Gracefully & simply hung on a cotton cord.